Be home for Leona Valley's cherry season! 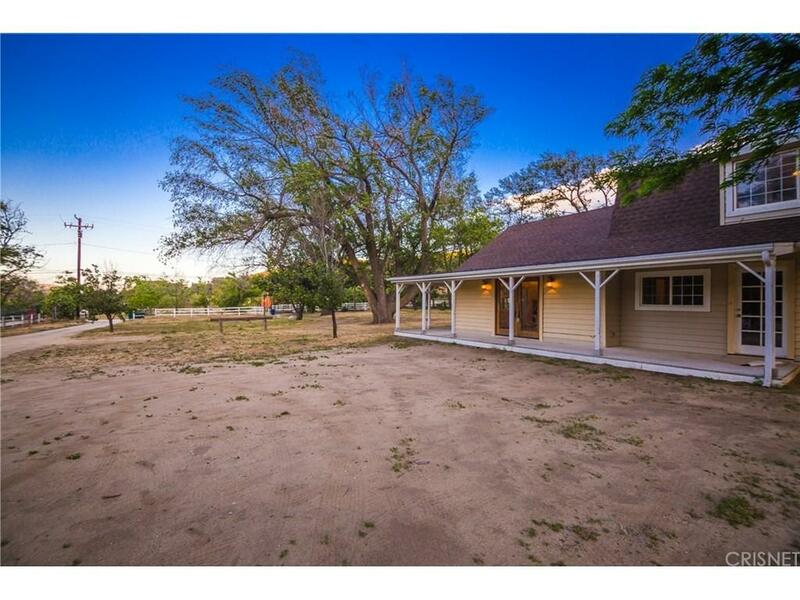 This beautiful ranch style home is welcoming from the moment you drive up the driveway, with a wrap around porch and several outbuildings for livestock. 4 spacious bedrooms, a great room with pellet stove and over 2.5 acres of usable land gives you plenty of space inside and out. The kitchen balances contemporary and rustic charm with updated cabinets and countertops and a cozy wood stove and exposed brick pantry. Top it all off with a large 3 car garage/workshop, making this a home not to miss! Sold by Teri Gordon BRE#01512077 of Homebased Realty.